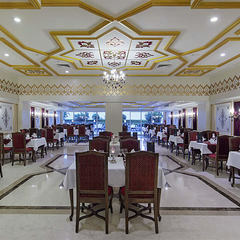 Side is an important region in Antalya where 11 different civilizations has been lived. 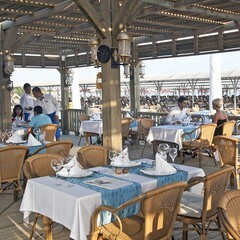 The Apollon Temple which is built for Cleopatra by Commander Antonius adds a special historical value to Side. Crystal Palace Hotel is a nice Hotel in historical Side. 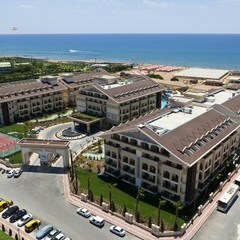 The hotel is in Mediterranean cost. 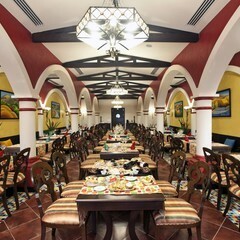 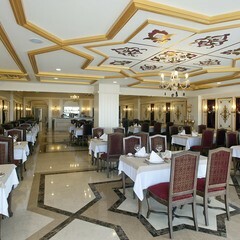 Hotel’s architecture and interior design has a special importance for the wedding groups. 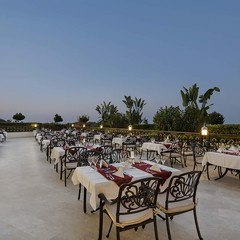 It is impossible not to admire its green gardens, terraces and incredibly decorated a La Cartes. 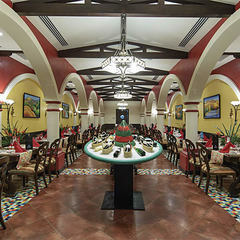 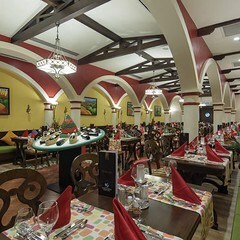 Their special menus which are prepared for wedding groups are very rich and customer oriented. 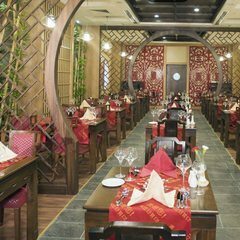 Crystal Palace Hotel which is famous with its rich meal options in main Restaurant is working with all inclusive service system. 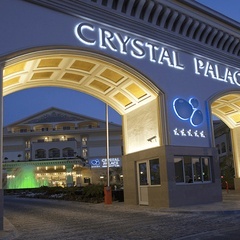 Crystal palace hotel is a family hotel and it is built without ruining the beauty of the nature around. 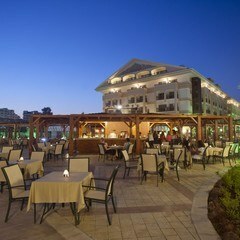 The hotel is one of the most beautiful hotels at Mediterranean beach side. 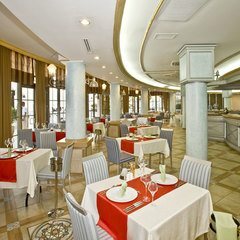 You can examine the wedding package we prepared for this cute hotel which entertains the guests from all around the world from our web page. 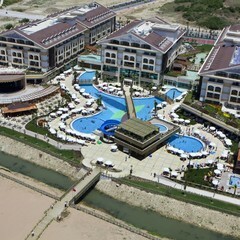 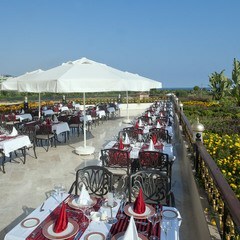 We will be glad to organize weddings of the international wedding groups’ weddings in this nice Hotel. 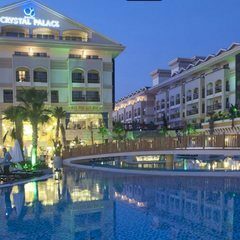 We have no doubt on the special care which will be shown by experienced Crystal Hotels Group to our wedding groups . 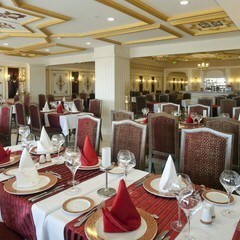 We are suggesting Crystal Palace Hotel with all our heart to the couples who are going to get married. 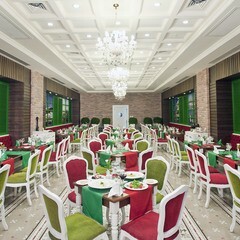 You can prefer our nice wedding partner Crystal Palace Hotel with your mind at peace as this hotel has all the necessary comfort for wedding groups to be comfortable especially with their modernly designed rooms.It is a sincere, caring hotel in which our wedding groups can feel like home and can host their wedding guests easily.Please do not forget to take your wedding guests to a city tour to make your guests feel the historical beauty of Side.